I just finished this runner and really like how it turned out. 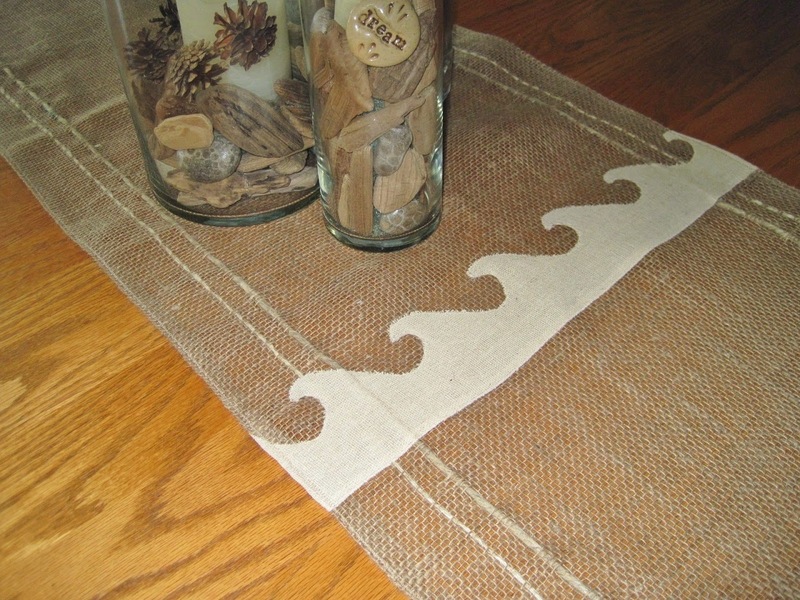 It's made of natural burlap, woven with jute and appliqued with gauze-like linen waves. I wanted the look to be very raw and all natural looking. 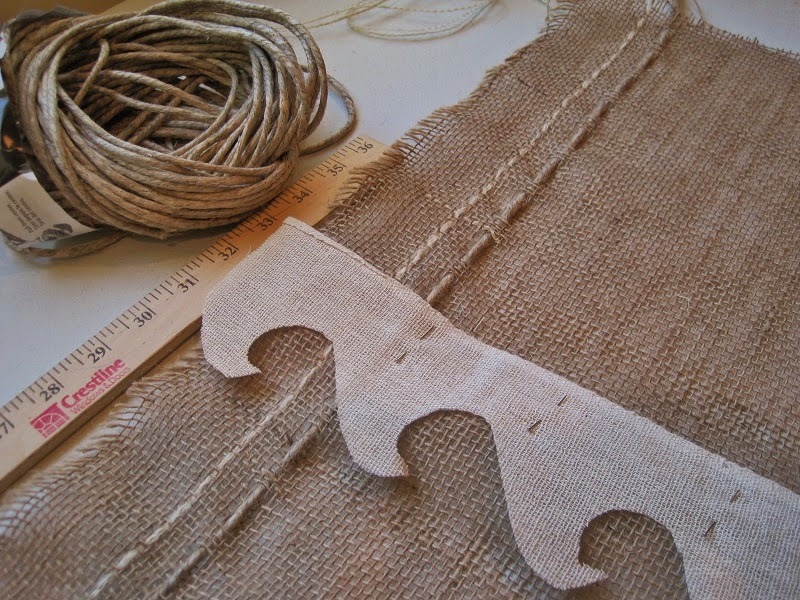 I started by measuring and cutting my piece of burlap. 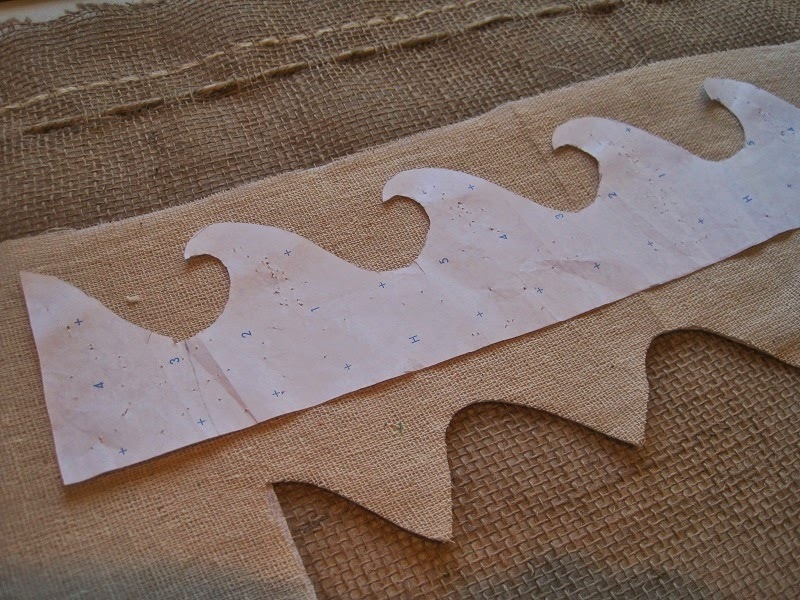 Then I created a paper template of waves, pinned it to my gauze, which I had backed with a fusible fabric stabilizer, and cut it out. 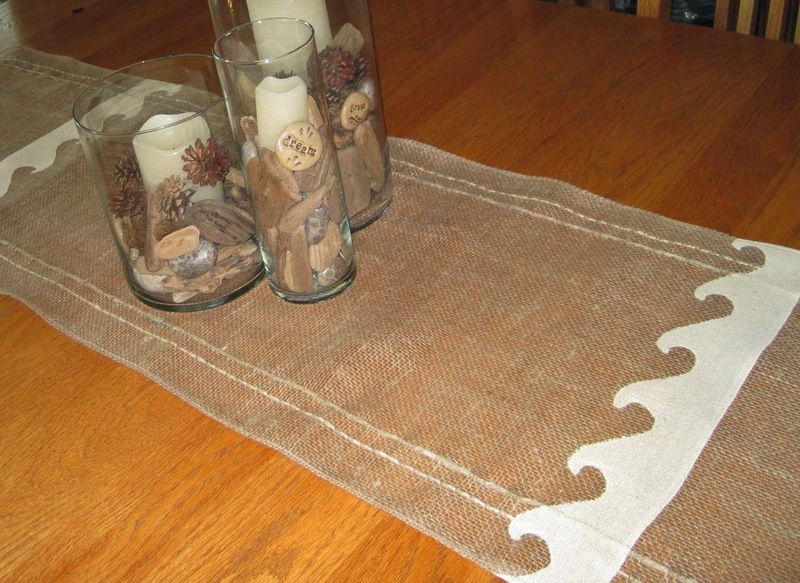 I then pulled out a couple strands and wove in a piece of jute the full length of the runner on each end. 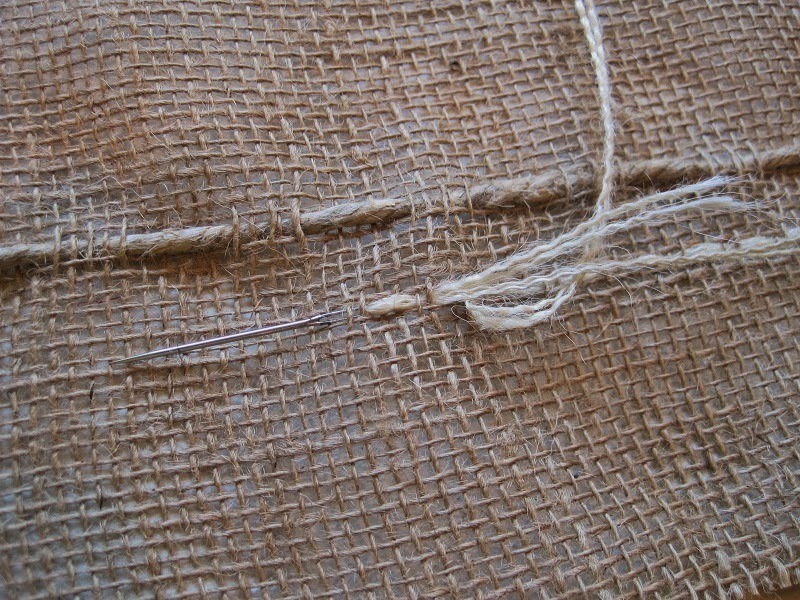 Taking a large embroidery needle, I wove in a couple strands of an off-white burlap for some contrast. Next step was to pin the applique waves in place. 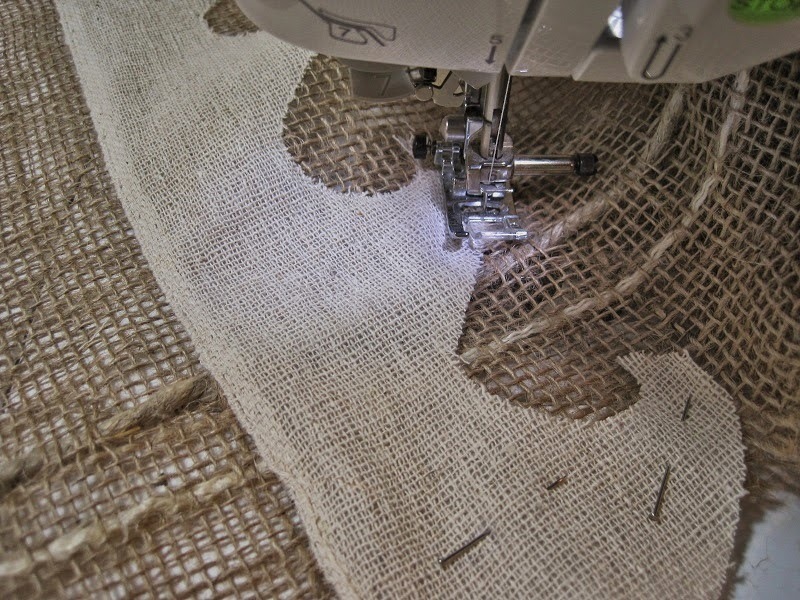 And, with my machine set at a very small, tight zig zag, I sewed the applique to the runner. This was a bit tricky with all the twists and turns. Last, all the edges were zig zagged to lock the weave in place so it will not unravel. I then apply a light starch with a hot iron to flatten and add body to the material. The look is just what I was after -- shabby chic, beachy, nautical and natural! Hope you like it. It's for sale in my Etsy Shop, www.etsy.com/shop/Floatinteriors.